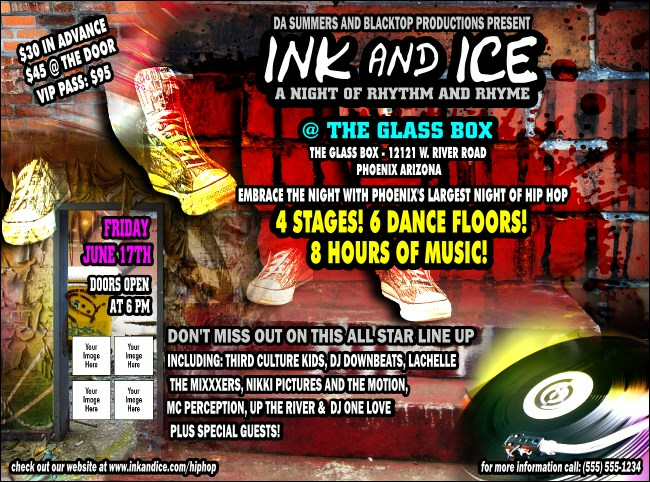 Rock your pre-event advertising like you rock the mic and promote your show in advance with Hip Hop Graffiti Flyers. You’ll put the fly back in Flyers with room to upload four unique images on an urban, distressed brick background, along with pictures of throw-back sneakers and a sweet turntable. When it comes to events, TicketPrinting.com helps you stay up.